About four years ago we got back into Geocaching – which is basically the high-tech world-wide scavenger hunt using GPS devices or smartphones. The main goal of geocaching is to find caches/boxes that are hidden just about everywhere – these boxes don’t move (hopefully) as you couldn’t find them otherwise. If you get more into geocaching you will also find that there are “Trackables” or “Travel Bugs” that are a whole variety of items that have a custom code that actually “live in” these caches, are also trackable/loggable, and move from cache to cache. We decided to start a few of our own Travel Bugs and see how they did. I haven’t checked on them in a while, but when I did I was quite surprised, between our “Code Ninja”, “Snowspeeder” and “Master Chief” they have travelled 34,639.4 miles and have been to Hawaii, Kuala Lumpur, Germany, France and more. 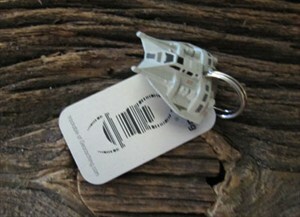 To start one of these Travel Bugs you need to get a tag for them online – these have a unique number for each item. 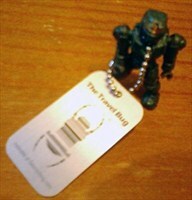 Then I found some small enough items that I had lying around the house, and yes they are a little geeky – a rubber Ninja, a small Snowspeeder and a Master Chief (from Mega Blocks) – then you drill a hole in them, but the tag on, register the code online, and you are off. Then I seeded these items into two of the local geocaches that we set up in town. And off they go. I got an e-mail today that the Ninja had moved and that he was now somewhere in Germany – and the last I had heard about him he was in Boston. Turns out he left there and went to the Atlantic Wildfowl Heritage Museum in Virginia Beach before heading over to Kuala Lumpur and then up to Germany. This is pretty cool and makes me want to do more traveling. Even more fun is that people sometimes take pictures of him along the way. 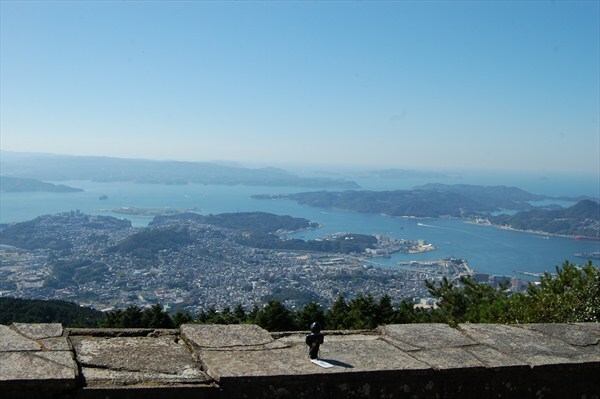 This is a view of the Kujukushima islands. Crazy, cool and fun. 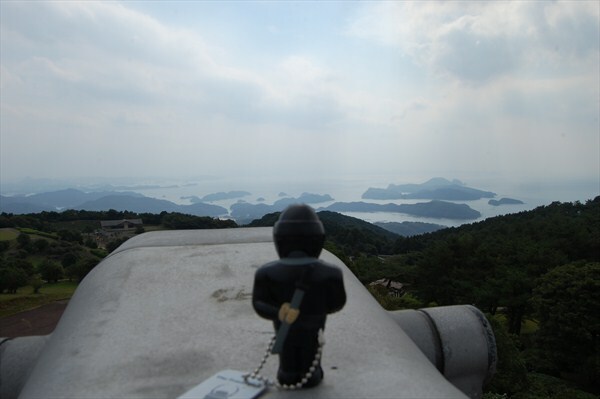 The Ninja’s latest check-in was on April 1st, 2012 at “Fels in einer Baumkrone” near Königstein im Taunus in Hesse, Germany. He was picked up with the comment “Bei Ichabod gesehen als er den Ninja in Königstein wieder ausgesetzt hat.” which Google Translates to “When Ichabod has seen when he exposed the Ninja King in stone.” which seems quite deep (any German speakers out there that have more to add?”). The “Master Chief” has also been around. Last I heard from him he was stranded in northern Canada and declared “lost”. 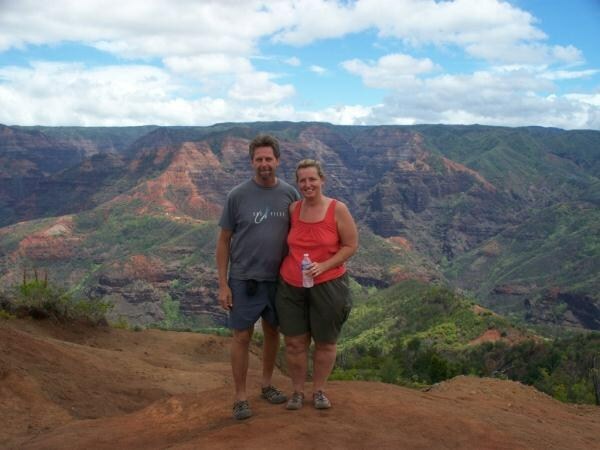 He spent 7 months MIA, but was found again and traveled to the “Waimea Canyon Earthcache” on Kauai, Hawaii. Then “Bobe499” picked it up and took it to “Turtle Beach” while he was on his 40th wedding anniversary in Hawaii at the ” Mauna Lani resort”. Last I checked on the “Snowspeeder” – he’s had less activity but also a fun ride. 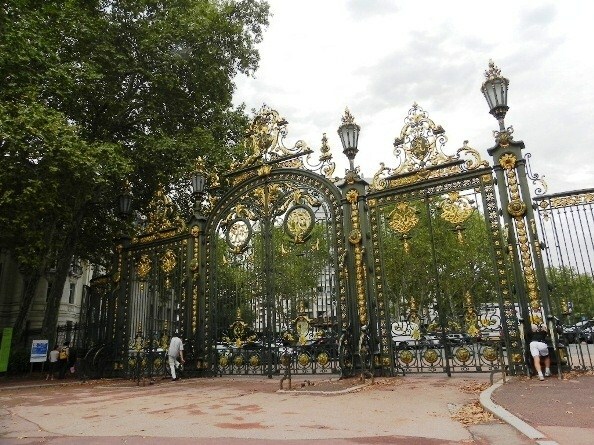 He made a slow ride down to Atlanta, but then headed for “de la Suéde” in Lyon, France. 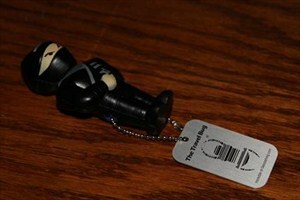 This is a picture from the geocache site – shiny! 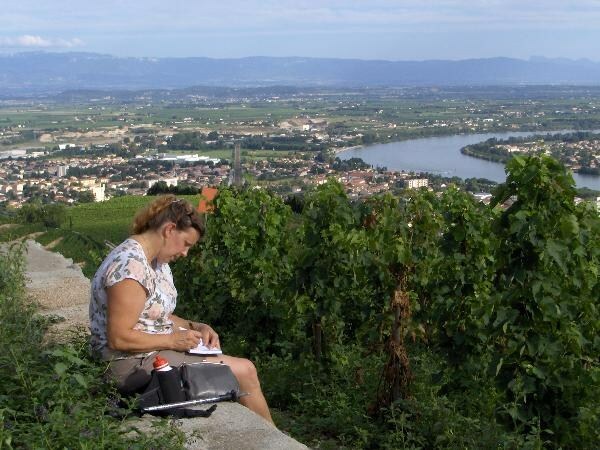 … which is in the south-east of Frace near Saint-Jean-de-Muzols overlooking “Le Rhône” (river). So, I just wanted to share as this really cheered me up today, made me want to travel, and was a nice positive surprise. Also makes me want to set off a few more this summer and see how they go.